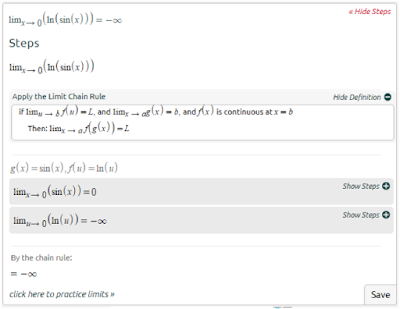 In our previous post, we talked about how to find the limit of a function using L'Hopital's rule. 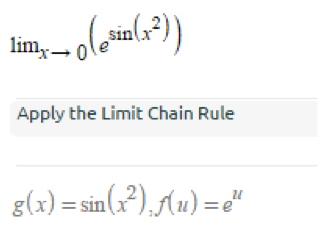 Another useful way to find the limit is the chain rule. When the chain rule comes to mind, we often think of the chain rule we use when deriving a function. 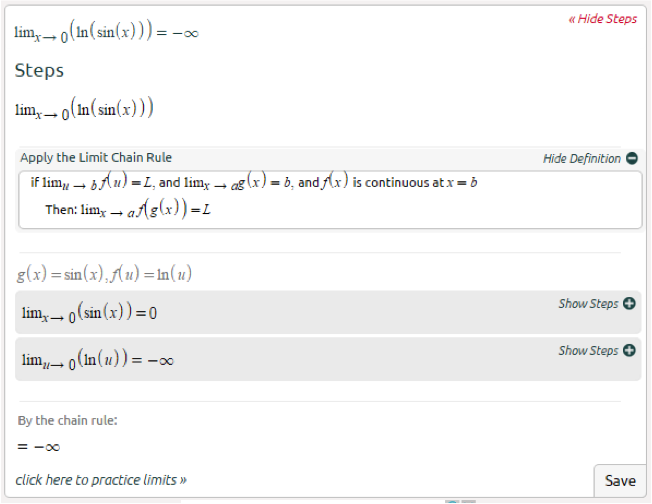 However, the chain rule used to find the limit is different than the chain rule we use when deriving. 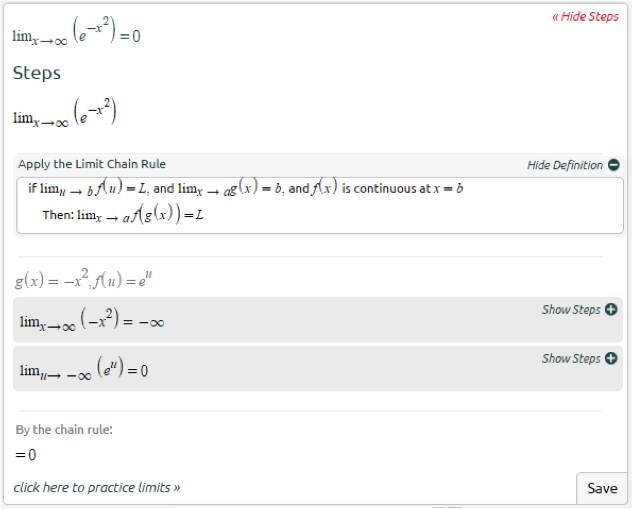 What does the chain rule mean? Given a function, f(g(x)), we set the inner function equal to g(x) and find the limit, b, as x approaches a. We then replace g(x) in f(g(x)) with u to get f(u). Using b, we find the limit, L, of f(u) as u approaches b. 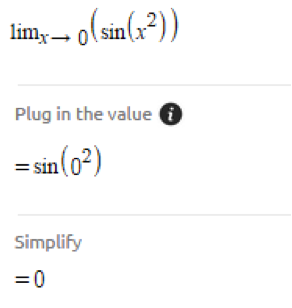 The limit of f(g(x)) as x approaches a is equal to L.
Since g(x) is the inner function, we set g(x)=\sin(x^2). We then replace the g(x) in f(g(x)) with u. 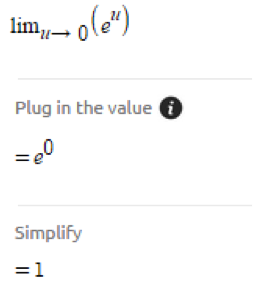 Thus, f(u)=e^u. 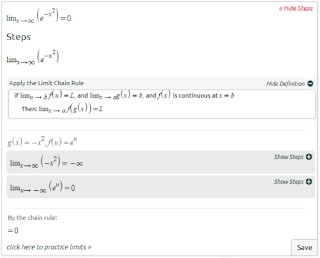 Understanding the chain rule may be a little difficult, but once you practice some problems, which you can find on our website, the chain rule becomes much easier.